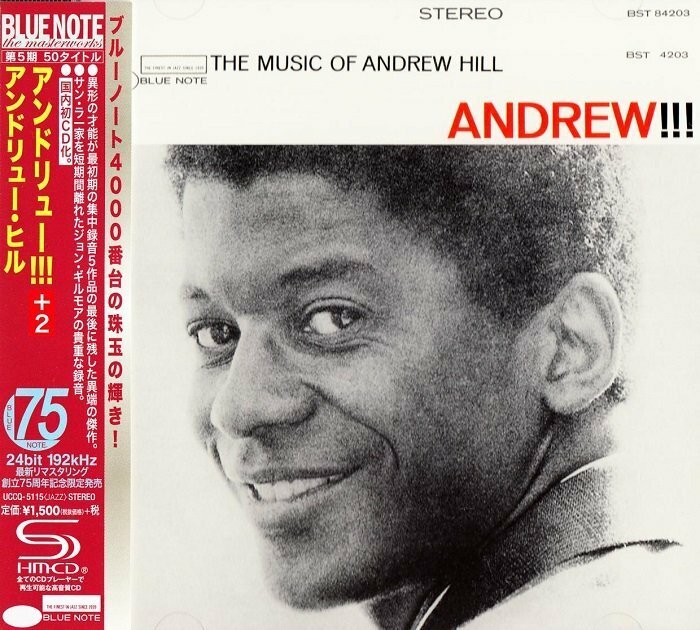 Quite possibly our favorite album ever from pianist Andrew Hill – a really unique outing that features the vibes of Bobby Hutcherson and a rare non-Sun Ra appearance by tenorist John Gilmore! The presence of Hutcherson brings a real "new thing" energy to the album – a feel that's similar to Bobby's classic Dialogue album, of which Hill was such an important part. But the searching tenor of Gilmore also brings a striking new level to the session as well – and his solos open up with a raw, earthy quality that really shades in the album with a great deal of feeling. Gilmore's role here is a bit like that of Joe Henderson on his freer Blue Note material – but his sound still undeniably unique, at a level that really makes us wish he'd recorded more albums like this at the time. The tracks are all originals by Hill, and include the titles "Duplicity", "Black Monday", "The Griots", and "Le Serpent Qui Danse". CD features 2 bonus alternate takes too!